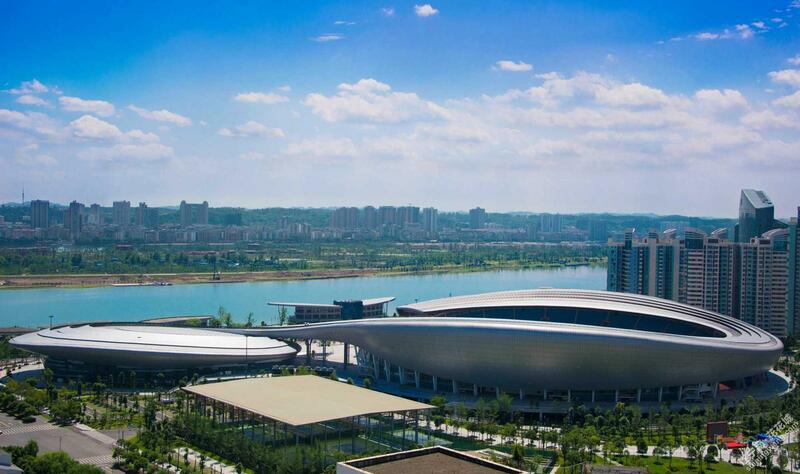 The sports complex consisting of a multi-use stadium and covered natatorium was built in Suining (Sichuan) in 2014. 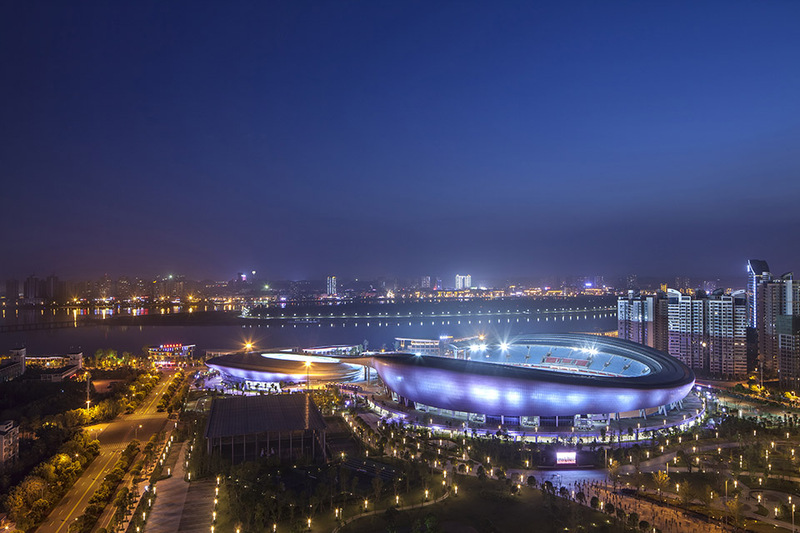 It became a landmark thanks to the charming location just off the Fujiang riverside in eastern part of the city. 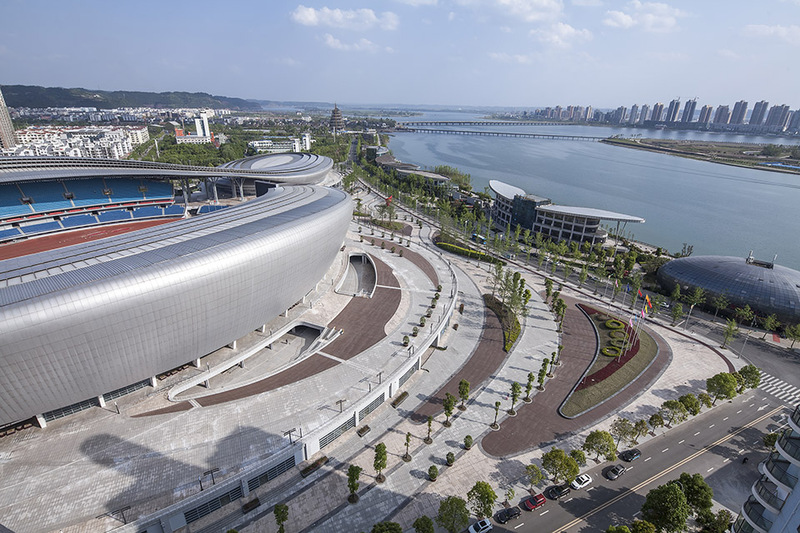 With total construction area of 79,190 m2 (of which the stadium covers 59,780 and the swimming hall 19,410), the center also provides extensive public green areas, as well as tennis, basketball, volleyball and other open-air sports facilities. 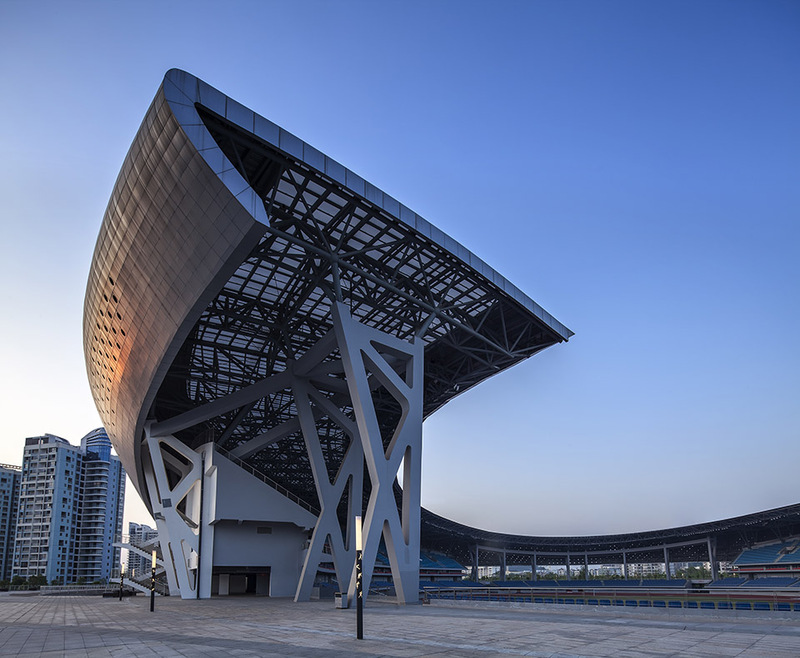 The two main venues are connected by a seemingly fluttering roof. Its elaborate shape was designed by renowned Tongji University architecture institute (TJAD) and symbolizes movement. 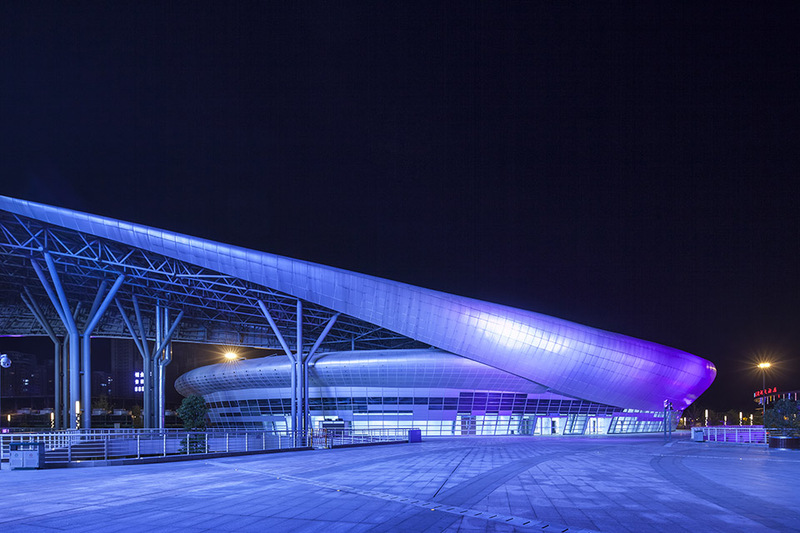 Not just any movement though, it’s inspired by shuixiu, traditional form of dance with long wavy sleeves. 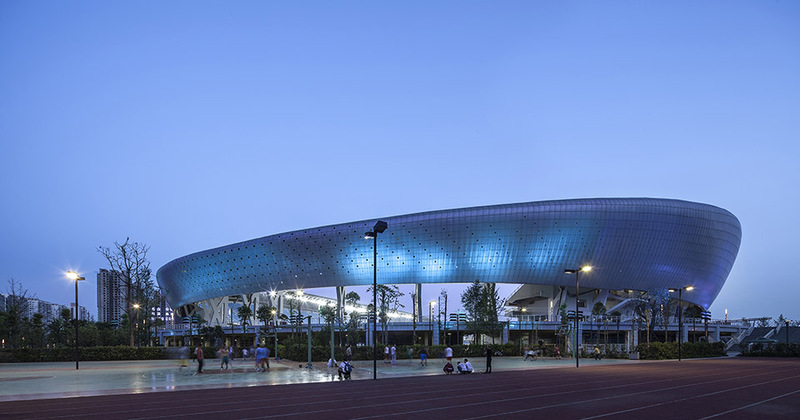 Just as the sleeves, the composite-covered roof encompasses the two buildings, leaving only an opening in the south, towards the river. 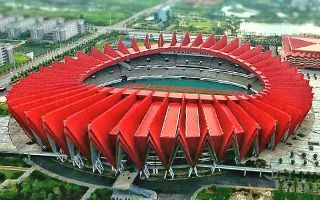 The stadium was built in order for Suining to host the 2014 Provincial Games of Sichuan.